Solar Impulse 2, the experimental solar-powered airplane, hasn’t even completed its trip around the world, but the team who built it is already thinking about what will happen to the plane, and others like it, in the future. Right now, researchers are conducting a feasibility study for the creation of ‘solar drones’ as a potential replacement for satellites. Ideally, unmanned solar drones could spend up to six months at a time in the sky, doing all the work of current satellite technology and then some, all while using the sun as their only power source. André Borschberg, one of the pilots and co-founder of Solar Impulse, mentioned this possibility on a blog post last November, and Swiss Info reports the project is “almost at the pre-design stage,” according to Borschberg. The team isn’t planning to launch the SI2 into the stratosphere as a drone though. Instead, they are using it as the inspiration for an even lighter and more efficient unmanned aircraft. 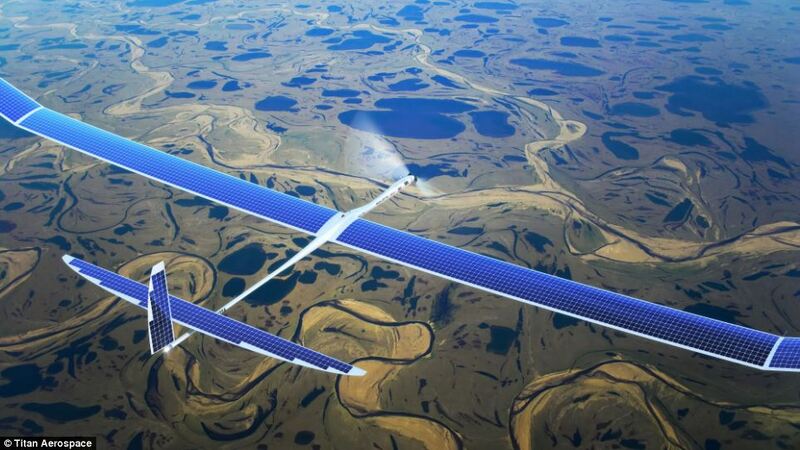 Solar drones might also be called “high-altitude pseudo-satellites” or HAPS. That name provides an update to the acronym’s previous definition of “high-altitude platform station,” which is also related to satellite technology. Such an aircraft, in their view, would have a wingspan of 30-50 meters and a payload of only 50kg, as compared to the SI2’s wingspan of 72m and 250-300kg payload. HAPS would be designed to fly nonstop around the stratosphere (at 12.4 miles above ground or so) for up to six months, and they would be controlled from the ground. A solar drone based on the SI2 would have the ability to take off, climb in altitude, and land while using electricity generated from solar energy. That means they could do so with zero emissions, and without the huge expense of rockets currently used to launch satellites. Although significant advances have been made toward making reusable rockets, they still cost a great deal. Solar Impulse was about 60 percent of the way along their record-breaking flight around the world when the experimental aircraft had to be grounded. After an epic five-day nonstop flight from Japan to Hawaii, the batteries sustained damage from overheating. The team determined the battery repair would take longer than the weather pattern window allowed, so they made the decision to pause the attempt. Currently, SI2 is expected to resume its journey on April 20. Solar Impulse 2 is a lightweight, single-passenger aircraft powered entirely by the sun. 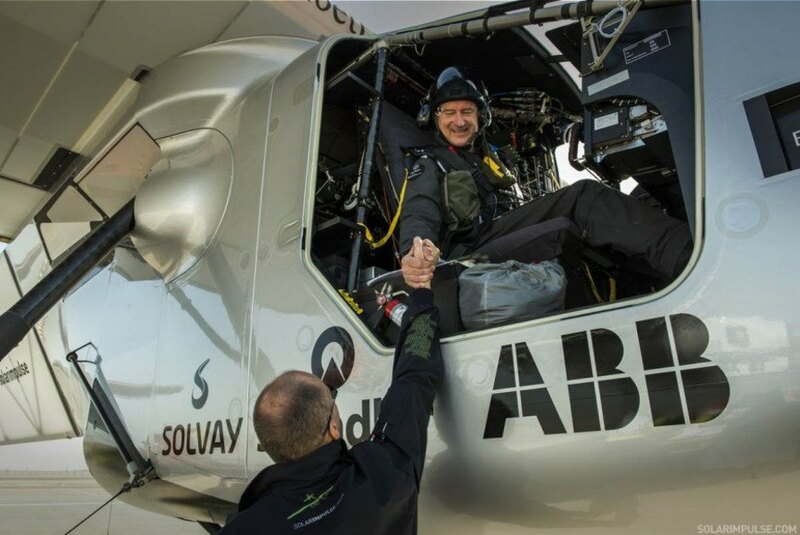 André Borschberg, shown here in the cockpit of Solar Impulse 2, mentioned solar drones in a recent blog post. Titan Aerospace is one of the companies already in the business of developing solar drone technology.